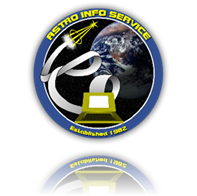 This AIS website and eShop is solely owned and operated by Astro Info Service Limited. The merchandise products on this site are original products of Astro Info Service Limited or commercially published works by David J Shayler through leading publishers including Springer & Apogee Books. Astro Info Service Limited conscious of data security and is aware of how information about you is used and shared. We appreciate your trust that we will manage your data carefully, transparently and with your consent. We are ultimately responsible for your personal information. We do not sell, rent or exchange your personal information with any third party for commercial reasons, beyond the essential requirement for credit/debit card/paypal validation during purchases. Our merchandise eShop is powered by Astro Info Service Limited, and does not require a separate registration process. Astro Info Service Limited confirms that we monitor any issues with our service. 2 - What information do we collect and how do we use it? 4 - Does AIS share the information it receives? 5 - How secure is my information? Any personal information provided to or gathered by Astro Info Service Limited is controlled in-house. As such Astro Info Service Limited is both “data processor” and “data controller”, with reference to General Data Protection Regulations. As an added security measure we do not directly share personal information with anyone. Astro Info Service Limited will still be required to confirm the status on request by customers using our eShop. Should there be any late deliveries; issues with product quality, Astro Info Service Limited will keep you informed only of non-identifiable general case details which we will monitor. Should the case not be resolved satisfactorily or a complaint be raised we have then agreed investigate further to do our best to resolve the issue. When navigating the eShop website the only information we will gather will be in the form of simple administrative cookies that are used only to aid form filling, navigation and generally expire at the end of each session (see next section). Should you make purchases on the eShop, further personal information will be collected. We use the information that you provide for such purposes as providing a sales service, fulfilling transactions and the shipping of merchandise orders, sending newsletters, responding to your requests and feedback. we receive and store any information you enter on our website or give us in any other way. You can choose not to provide certain information but then you might not be able to take advantage of certain features. This information will be regularly reviewed and any unnecessary information will be dispensed with. we receive and store certain types of information whenever you interact with us. For example, like many websites, we use "cookies" and we obtain certain types of information when your web browser accesses astroinfoservice.co.uk and other content served by or on behalf of Astro Info Service Limited on other websites or on the main section of Astro Info Service Limited website. We do not receive or use information about you from third parties and do not operate a membership or subscription system. AIS Ltd Financial year ends 30th September and by law we are obliged to retain company paperwork which may include your personal details, for 7 years after the completion of our current financial year, after which, all paperwork and personal data is destroyed. The eShop uses short term session and long-term cookies to aid navigation, form filling, customisation of the appearance of the site. Any cookies that are not exempt under the above legislation will require your consent prior to being saved to your device. A notice will appear indicating the type of cookie involved and request your consent. Cookies can be deleted from your computer and should you not wish their use please select the appropriate option on the popup notice. 4 - Does Astro Info Service Limited share the information it receives? Astro Info Service Limited does not use any third party companies other than some merchandise product suppliers, for which no personal information is required and shipping specialists which would require names and addresses. As such we rarely need to disclose any internal or personal information to third parties or other organisations. Furthermore we are dedicated to our customers and take great care in protecting their personal data. We do not sell, rent or exchange your personal information with any third party for commercial reasons, beyond the essential requirement for credit/debit card validation during purchase and in the distribution of products you purchase from us. On rare occasions we may be required to release account and other personal information when we believe this appropriate to comply with the law; enforce or apply our Conditions of Use and other agreements; or protect the rights, property or safety of Astro Info Service Limited, our customers or others. This includes exchanging information with law enforcement agencies and other organisations for fraud protection and credit risk reduction. Obviously, however, this does not include selling, renting, sharing or otherwise disclosing personally identifiable information from customers for commercial purposes in a way that is contrary to the commitments made in this Privacy Notice. There are no plans to change our above policies, but should they be changed in the future, you will receive notice and you will have an opportunity to choose not to share the information. Whenever we transfer personal information to countries outside of the European Economic Area in the course of sharing information as set out above, we will ensure that the information is transferred in accordance with this Privacy Notice and as permitted by the applicable laws on data protection. An example of which is the EU-US Privacy Shield 2016. 5 -How secure is my Information? We follow strict security procedures in the storage and disclosure of information which you have given us, to prevent unauthorised access in accordance with the UK data protection legislation and EU GDPR 2016. We work to protect the security of your information during transmission, we only receive relevant information through Paypal to process your order efficiently and promptly. Any paperwork is retained for 7 years by law, following AIS Limited current financial year and then destroyed. You are not required to sign into our website to any purchases. Should you ever want to know if we are holding or processing personal information about you can contact us at aisoffice@virginmedia.com. We can provide you with a copy of any personal data we hold on you in a free electronic format and we can also further discuss how this is used. This document will be a commonly used and recognisable format that you can access. You will need to verify your identity before we can release this information. You will also have the right to take any disclosed information obtained under the previous option and transmit that data to another data controller or organisation for your own purposes. Ultimately you have a right to have elements of, or indeed all the personal information we hold on you, erased. We do not operate a membership service. Again we would need to verify your identity. We would also have a legal obligation to consider any requests for such information removal with regard to law enforcement or statutory bodies prior to actioning the request. If you have any concern about privacy on this AIS website, please contact Astro Info Service Limited with a thorough description and we will endeavour to resolve the issue. Our business changes constantly and our Privacy Notice and general conditions will change also. We may e-mail periodic reminders of our notices and conditions, unless you have instructed us not to, but you should check our website frequently to see recent changes. Unless stated otherwise, our current Privacy Notice applies to all information that we have about you. We stand behind the promises we make, however, and will never materially change our policies and practices to make them less protective of customer information collected in the past without the consent of affected customers.